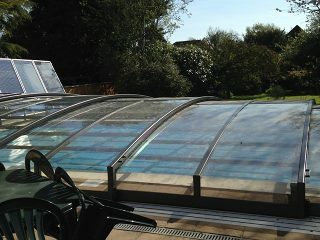 "We were a bit doubtful about the installation at first but now think it well worth the investment. 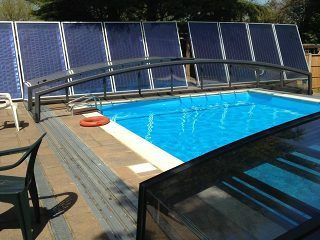 It makes the pool much easier to maintain and keep clean. It is much warmer and we swim in it in "indoor pool" mode on days when otherwise we would think it too chilly. 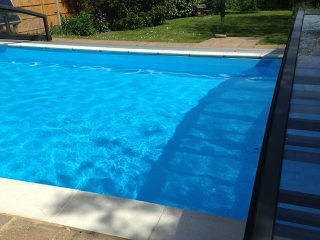 This year I opened the pool on 1 May and have swum in it on 115 days since then. And it is much safer if there are children as you can lock it shut if you cannot supervise them."